Last week, I revealed some big updates we made to the master bedroom. It’s a whole new direction and I’m loving it! I can’t wait to finish the entire space. In the meantime, I’m going to share some of the tutorial for pieces found in the space. 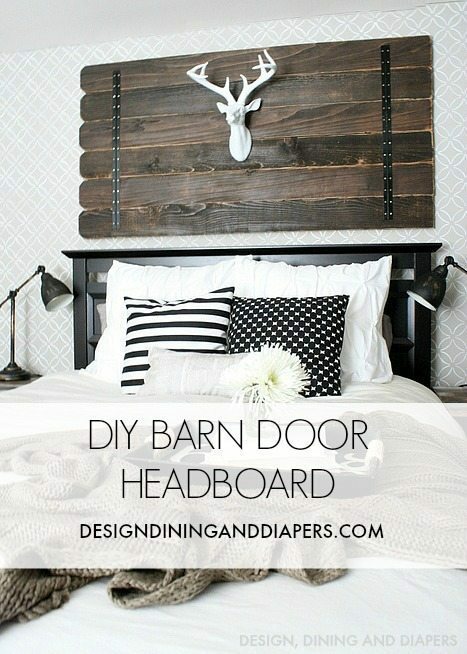 Today, I’m starting with my super easy DIY Barn Door Headboard. Soooo, technically it’s more of a wall piece than a true headboard but that’s what I’m calling it today. Cool? I wanted the piece to be relatively the same length as my current queen sized headboard, so I ended up cutting 8″ off each board to make the entire thing 64″. Then I sanded and sanded. The wood wasn’t finished, which is what I wanted, so I didn’t sand until it was smooth but just enough to clean it up. Once the wood was prepped, I gave it one coat of Minwax English Chestnut stain. 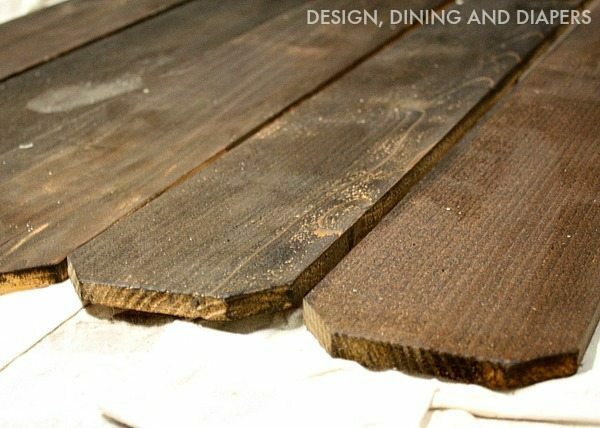 FYI this type of wood is really porous and the stain came out a little darker than it would on finished wood. Because I lost some of the variations in the wood due to how dark the stain took, I ended up distressing the wood again by sanding. This helped lighten up some of the area. 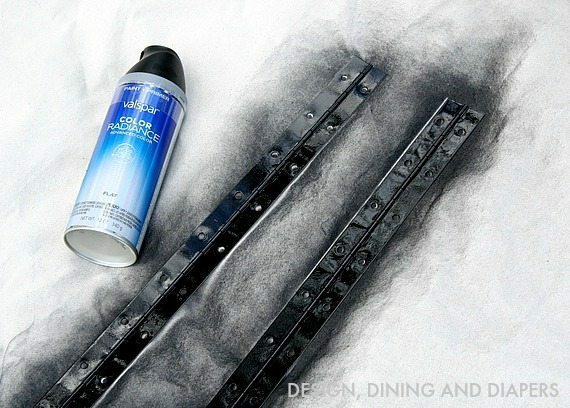 Meanwhile, I spray painted the hinges black. Finding true black iron fencing can be really expensive so this was an easy fix! Now, before you secure the pieces together I have a little piece of advice. Because the piece is so heavy, you’ll want to make sure the screws are going straight into the studs. 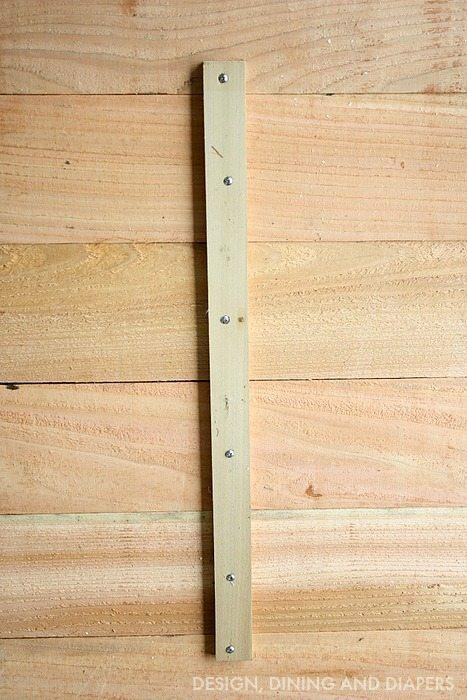 AND since the wood that holds the boards together will stick out a little bit from the wall, you’ll need the brackets to be screwed onto the wood pieces. Which means…. 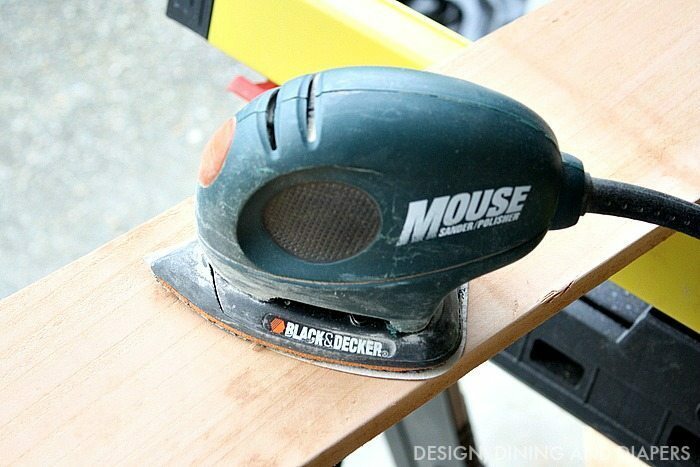 you’ll need to go measure where the studs are on the wall and then place the wood pieces on your door accordingly. I really hope that makes sense! 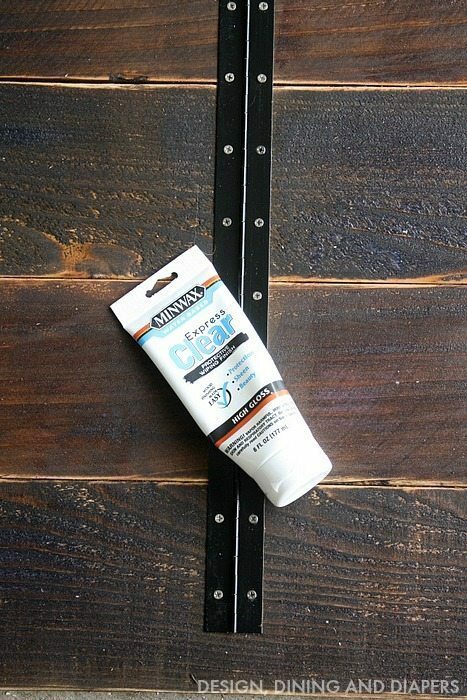 Finish it off by installing the hinges (these are just for decoration and really won’t support the boards) and given the entire piece a coat of clear finish. And this is just the beginning. More tutorials on the bedroom coming soon! The first time I saw your headboard last week I wondered what those black things running vertically were. Aha moment. Thought maybe they were some kind of leather strapping to help hold it together. I notice the boards had ends like fencing, is that what they are or did you cut ends yourself? I might make something similar, not as wide for a sign. 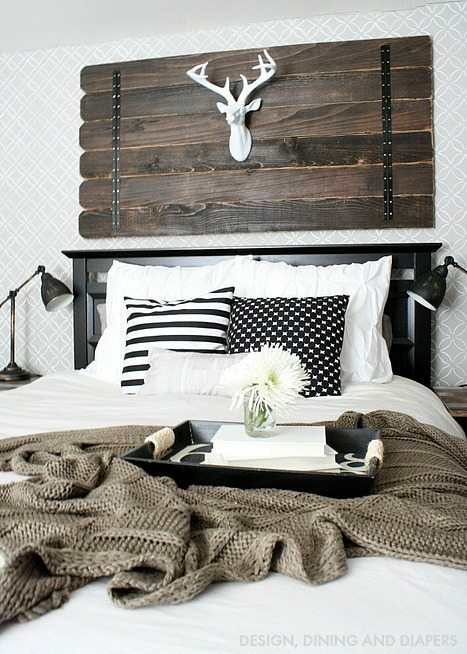 Your headboard looks awesome. I like that it’s something different than anybody else might have. We took end of a pallet, added boards between existing boards to make a good sized flag. It turned out pretty good, took me longer as I was being careful not to get paint colors where they didn’t belong. Just have to use paint pen on the stars now. Just in time for Memorial Day weekend. And wouldn’t we know, it’s going to rain from Sunday thru Wed. For Pete’s sake, every darn year it rains on Mem. weekend, rats. Would be good time to go antiquing except we don’t get paid til Wed., rats. 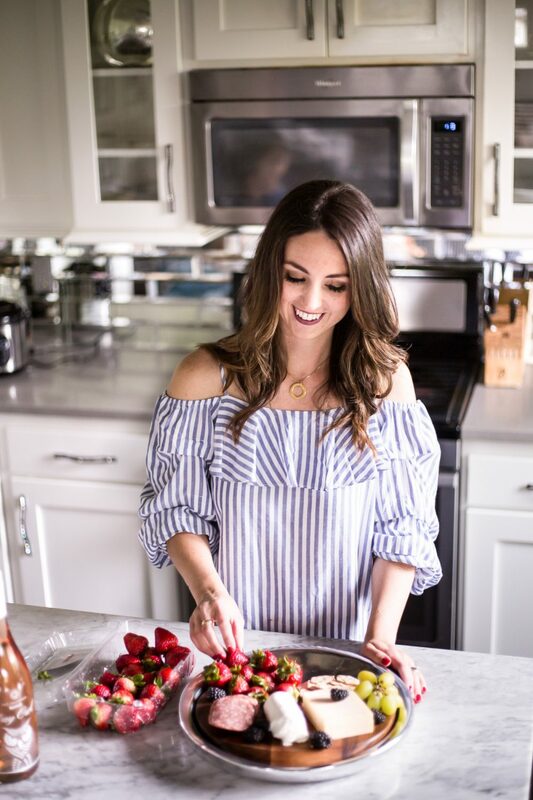 I just started a blog and am wanting to share this in a future post. Do you mind if I share your tutorial (giving you credit of course)? HI! Thank you for your sweet comment! 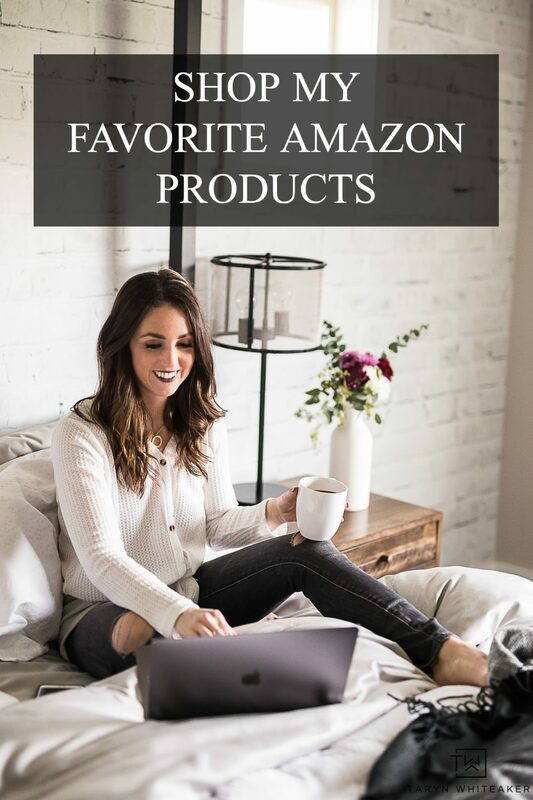 You are always welcome to share one picture with a link back to my blog. Thanks for asking! 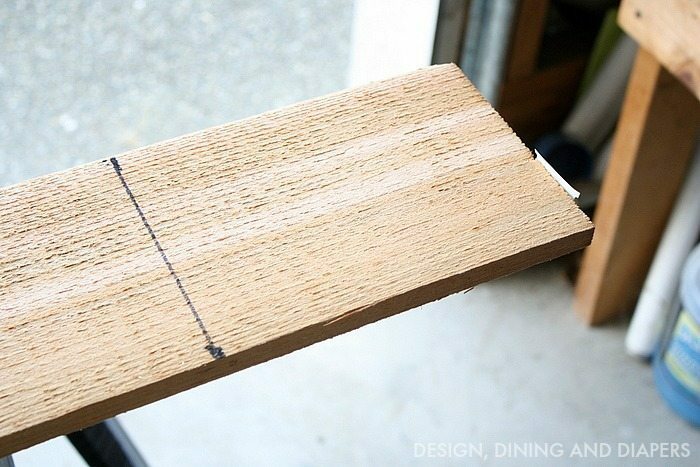 instead of the hinges, you could use a piece of 1/8″ x 2″ flat bar with holes drilled (2 per board) to simulate a band going across the boards.